What Are You Doing About Facebook Marketing For Your Books? Do you need to change your Facebook marketing strategy? If you are an author or content writer and you are promoting your books or articles with a Facebook business page, it is certainly time for a rethink. Social media marketing always needs some tweaking but in the case of Facebook pages, so much has changed in recent times. The most significant issues, of course, are trust and respect of privacy. Since the news broke that revealed the Cambridge Analytica breach of 87 million Facebook profiles, almost every Facebook user has reconsidered how they now might use, or not use the platform. The Guardian reported that in Europe, three million users abandoned their personal Facebook accounts. The consequence was a sudden nosedive in share value. In the United States, the reaction to the loss of trust in how Facebook managed user data was even more telling. An article from Forbes which quotes Pew Research data, reveals some startling statistics about user behaviour in the past 12 months. 26% of all respondents deleted the Facebook app from their cellphone. 44% of younger users between 18 to 29 have deleted the Facebook app from their phone. 42% said they had taken a break from checking the platform for a period of several weeks or more. 54% of users ages 18 and older said they had adjusted their privacy settings in the past 12 months. 47% of the users who have downloaded their personal data from Facebook have deleted the app from their cellphone. 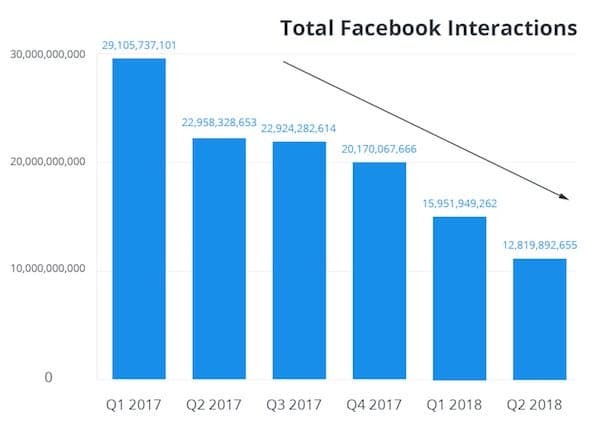 If you are using Facebook, you probably don’t need statistics to tell you that activity and interaction have fallen off considerably. What can you do to adapt? Can you still leverage Facebook to promote your books and blogs? 1. Expand your number of friends. 2. Build your Page Likes and followers. 3. Use very fine ad targeting. 5. Think about times to post. 6. Write blog posts for Facebook. 7. Fewer book posts, more you. With over 2 billion users, Facebook offers the largest social media platform in the world. It is not going to disappear as was the case with Myspace. However, with some of the dramatic changes that Facebook has made to its newsfeed algorithms, there is less activity now for newspaper articles as well as business pages promoting products and services. In other words, it is less likely that your piece of content about your books or blog articles will appear in users’ newsfeeds. Buffer and BuzzSumo partnered to analyze more than 43 million posts from the top 20,000 brands on Facebook in one of the largest studies of current Facebook behaviour. Here are a few dramatic statistics. In a little over one year, interactions such as Likes, shares and comments have dropped by well over 50%. However, posts have increased by 25% over the same period. But the most discouraging statistic is that the fall in engagement has been most felt by artists and public figures. I suppose we could say that authors fit into either of these two categories. 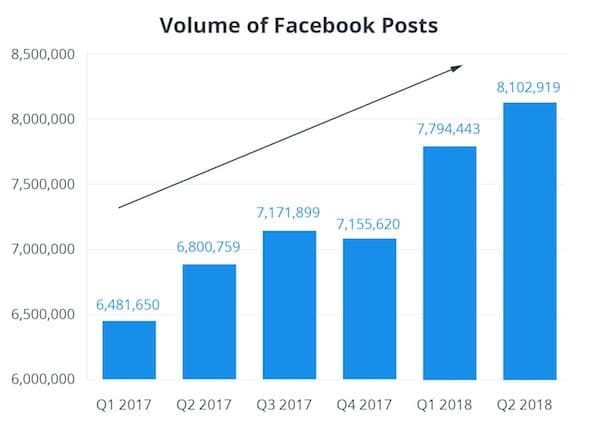 The last number that is worth noting is that there are more than 80 million Facebook pages all competing for a target audience in the very limited space available in the News Feed. Social media is always changing, so you need to be flexible to find potential customers or book buyers. While we use a few social accounts to promote Just Publishing Advice, organic search traffic from Google, Bing and Yahoo delivers over 80% of our site traffic. But our sister site, Whizbuzz Books is heavily reliant on social media for book promotion. When we noticed the first signs of a dropoff in Facebook activity, we were, by chance, in a very fortunate position. Over the preceding 12 months, we had spread our social media activity across more platforms. The impetus came from the knowledge that Stumbleupon was going to shut down. It was not a huge traffic driver, but enough to want to replace the traffic somehow. But instead of simply adding one new platform as a replacement, we opted for a broader solution. Over the space of a few months, we added and started to build organic followings on Google+, Tumblr, LinkedIn, Goodreads and WordPress as well as opening two new Twitter accounts. 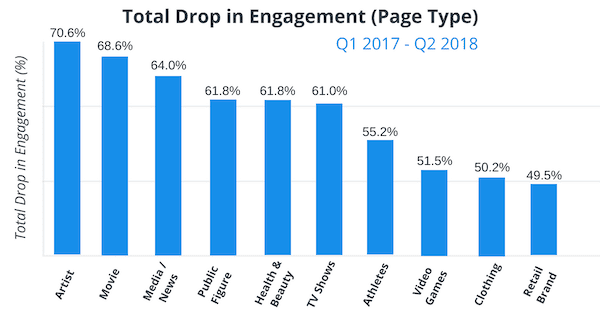 Yes, we certainly noticed the fall in Facebook engagement. But it was only one part of our social marketing, and it was more than offset by the new traffic sources we had developed. The lesson is simple. Don’t put all your eggs in one basket. It is especially true for online and social marketing and promotion. Make sure you diversify and spread your promotion across numerous platforms. Yes! Of course, you can. But you will need to change and adapt to the new realities for your Facebook advertising and promotion. Here are seven suggestions that you might like to consider. The algorithms now heavily favour interaction between friends and family. But don’t try to promote your books. Make friends with people who share a common interest, and it will help build your name recognition as an author or writer. The types of content with the highest interaction on Facebook are food, pets, DIY, fashion and beauty, humour/funny and tech. So think about posting what is popular to gain traction. Try a Facebook video or two. Yes, it’s a bit like going back to how you used Facebook years ago. But today, it is effective again. Maybe update your profile photo too! Because there is so much competition for space on the News Feed for organic reach, the only way to get more attention from the Facebook audience is to get more page Likes. The only way to achieve this is to use the ads manager to promote page Likes. It is not very expensive. On average you might expect to pay around $0.20 -$0.30 per new Like. From your ad account, you might also think about boosting posts from time to time. If you are using a Page and ads on Facebook, define your targets for your Facebook ads as narrowly as you can. Think about using much more precise geographical, age, gender and interest ranges. Perhaps target your Facebook Page like a local business to your region. It is easy to add a shop (bookshop) to your Facebook page. If you don’t know how we wrote a step-by-step article on how to add a shop to a page. There is no point at all now in using a scattergun approach on Facebook. Check your statistics and see when your friends and page followers are most active. You could even prepare a basic Excel sheet to create a facebook posting schedule. In this way, you won’t waste a post on Facebook by sending it when no one is likely to react. You might try Facebook Live, but I can’t say I have had any experience with it. However, it might be worth investigating. Not all the time, but if you get to know what your friends and page followers are keenly interested in, try writing for them. In particular, look at what types of Facebook posts they share to give you ideas. It might seem counterproductive, but Facebook is definitely becoming more about personal interaction than business and selling. The Facebook of old if you like. Use it to develop your author or writer profile, and not so much about selling books. You could try joining a few facebook groups to extend your reach. There is no doubt that it will be tough going on Facebook for the foreseeable future. Should you keep using it? Yes. But be ready to adapt to changes that will surely keep coming. But you should also be actively building your social media networks that will help offset any loss of traction on Facebook. Twitter is far less affected, and it is much easier to build a substantial following. Interactions are also healthier on Twitter. Perhaps think about growing your account, or even creating new accounts to spread your word wider. Our experience is that books are still popular on Twitter and do gain interactions. For bloggers and content writers, Twitter is by a long way a much better platform for traffic and responses to a call to action than Facebook at present. Other platforms to think about using are Pinterest, Flipboard, Google+ and Tumblr. Individually they might gain only small followings, but cumulatively they can add up to a sizable traffic boost. In the end, it’s about adapting to change because social media will always be changing. Thanks for an informative article. Being a technical nerd (that says a lot…) but enjoying interaction with like-minded people, I plod on! Naturally, I want to sell my books/work, but enjoyment of writing counts more than financial rewards these days. FACT! Cheers.